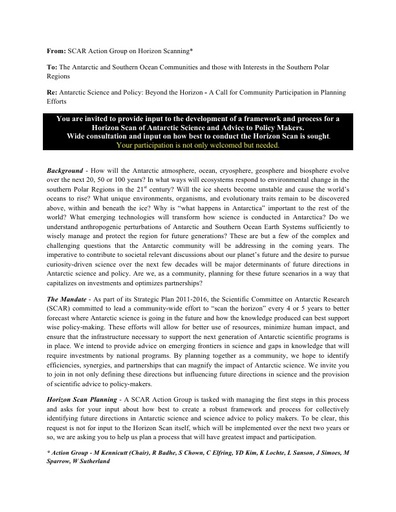 You are invited to provide input to the development of a framework and process for a Horizon Scan of Antarctic Science and Advice to Policy Makers. Wide consultation and input on how best to conduct the Horizon Scan is sought. Your participation is not only welcomed but needed.